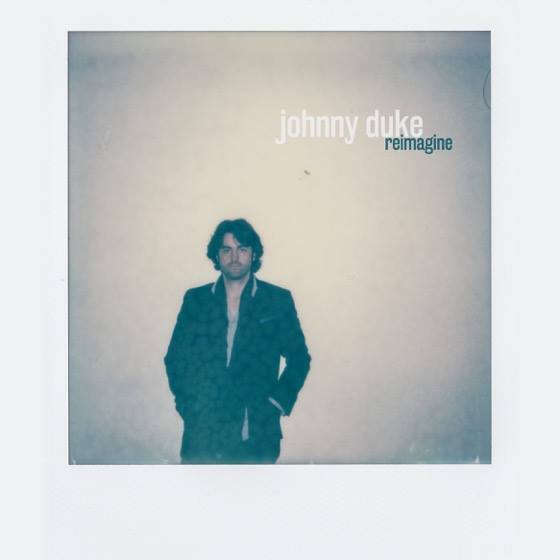 After touring as a guitarist for Little Big Town, Ashley Monroe and others, Johnny Duke has found his voice on his 15-track debut solo album. Read about our conversation with the dynamic musician and peep this video premiere of "Shadows." “It was pretty much a trial and error process,” the ever-calm Johnny Duke says about his debut album in between sips of coffee and after a pensive pause. It’s not necessarily the answer I expect, since the process he’s referring to became Reimagine, a 15-track full-length, but in retrospect, the statement doesn’t surprise me. Johnny isn’t about assumption or quick decisions. He’s thoughtful and patient, both in his demeanor and his music, and these two qualities seem to be less present around town these days, which also makes the conversation that much more delightful. “I fell in love with making records, and that’s what I’m passionate about,” he continues, quoting Daniel Lanois and his “soul-mining” concept, hinting at the self-discovery that occurred during the making of Reimagine. And it’s easy to assume that this kind of personal bloom happens with every musician’s first venture, but it’s something more with Johnny. He’s been in Nashville since 2010, touring and recording with Little Big Town, Ashley Monroe, Lee Ann Womack and Mary Chapin Carpenter as a guitarist, and he’s advanced his talent along the way. Such a career stint makes this album more than just the furtherance of something he’s already begun; it’s the activation of his voice. “I decided to make a record after I left Little Big Town, and I set a goal for myself to spend a year making a record. What inspired me the most was just to hone in on my craft, the craft of being creative and recording in the studio,” he elaborates. He has a fascination with production, which manifested in him building a recording studio in his backyard while working on this album, and the interest lead to self-producing his debut. “Producing yourself inevitably becomes self-therapy…it was very humbling because I would record something and get really excited about it, and then come back to it a few days later and ask myself what I was thinking.” Whatever objections he experienced in the recording process are unnoticeable on the final product, which is dynamically and beautifully expositional, and the songs themselves create the skeleton of the record and enable the production to mold his voice. “Throughout the process of the record, I had to learn how to sing. I had to produce music to accompany my voice, and the instrumentation had to support my vocal style.” Written mostly by him, with a few co-writes with Allie Farris and Will Kimbrough, Johnny’s songs are proof that he listens just as much as he expresses, allowing his acquired wisdom and influences to find a place in his songs. “It’s about discovering music and absorbing it,” and in turn, transforming the intake into personal output. Johnny’s enthrallment with sound makes his acoustic guitar parts seem symphonic, and his voice is that much more familiar because he sought, with absolute intention, the very marrow of his tone. His track record proves he’s a phenomenal guitar player, but in case you desire more evidence, he can play Debussy as swiftly as he can play in the style of Lightnin’ Hopkins, which is enough proof for me. And take his agility and flexibility on guitar and combine it with the boundless potential of a studio and well-written material, and the product is Reimagine. There isn’t a singular description for the album as a whole, and it’s reflective of the challenge to label Johnny as one kind of musician or writer. “Back In My Life” is this rhythmic dance embellished by female harmony, while “Keeps Me Runnin” is a blues-based track bubbling with organ and free-form vocals. “The Sky Was Never Blue” hues the album with wide vibrato and perfectly muddy layers of instrumentation, and “Distance” ends the collection with a kind of haunting soundscape that is easy to get lost in, much like the rest of the record. Throw in an Ashely Monroe accompaniment, a few musical interludes and what can be assumed as the greatest personal challenge to date, and Johnny Duke shared something untold and finally captured.